The story of Sleeping Beauty is one that we have all heard at some point in our youth. It is the story of a princess cursed by an evil woman to fall into a deep sleep on her 16th birthday. The spell can only be broken by the kiss of a handsome prince. The timeless story originally made famous by Charles Perrault, and compiled by the Brothers Grimm, has been adapted into many different forms over the centuries; film, stage and small screen. In 1959, Walt Disney adapted the story into an animated feature that was initially perceived to be a disappointment. Over time the original animated feature has become one of the classics that exemplify Disney. In the original story, there is very little mentioning about history of the various characters. Folktales of the 17th century aren’t exactly known for their character development. The lack of fleshed out backstories has paved the way for Disney to revisit the story once again with an emphasis placed on developing the backstory of the villain, Maleficent . 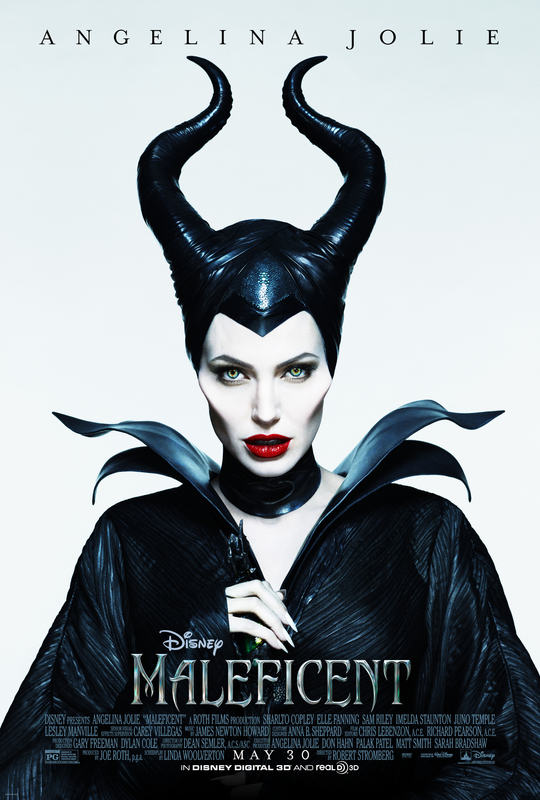 Angelina Jolie as Maleficent is perfect. Her portrayal of the evil faery is the new standard for any others that ever attempt the role. Her portrayal gave physical form to the character much like Heath Ledger gave new life to Joker in the Batman series. She gives the character the edge that is needed while also adding wit and a little humor. In the scenes where Maleficent is seen watching over the growing Aurora, her internal conflict is perfectly translated to the screen. Jolie also manages to develop good chemistry with the many CGI characters she shares time with, something that can be very difficult. Jolie’s co-stars, Elle Fanning and Sharlto Copley, were acceptable in their roles or Aurora and King Stefan. Fanning looked every bit the part of the enchanted princess and Copley was his usual awkward looking self. The three pixies played by Lesley Manville, Imelda Staunton and Juno Temple served as comic relief and were only mildly annoying; a Disney staple for comic relief characters. The visuals of the movie are as impressive as Jolie’s acting. The near 100% CGI based world where the film takes place looks well developed and “real” to the eye. The special effects were also well thought out and never became too much to take in. The visual presentation of Maleficent has been panned by many, but I found it to be perfectly in line with how I imagined/remembered the character. The adaptation of the story that Disney is attempting is not your typical Disney fairytale. The story is very dark with very strong themes of betrayal and revenge that are front and center throughout. There is much higher level of violence that is atypical of Disney movies. A few of the CGI characters can also be viewed as a bit scarier than some would expect. The normal portrayal of “Hero” and “Villain” is also very blurred with Maleficent seeming to switch back and forth from scene to scene. All things considered, this movie exceeded my expectations. Jolie lived up to the hype and the new take on the story was interesting. My only word of caution would be for parents that take small children to see it. It could a bit too much for kids under 10 or so. Can we say nightmares? For everyone else, do your best to find a non-3D version of this movie and check it out. You will not be disappointed. Mamma Mia at DPAC: Concert or Musical?